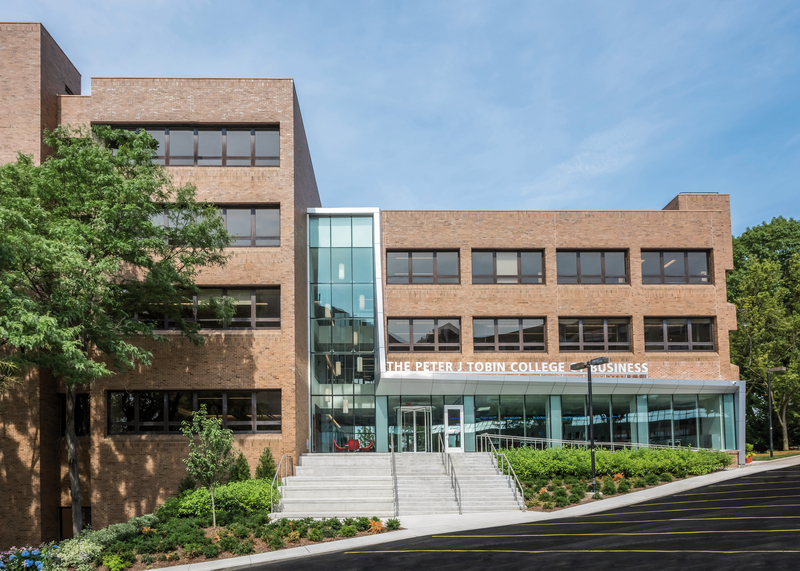 The design team followed three core themes in the renovation of the new Peter J. Tobin College of Business at St. John’s University: transparency, collaboration and connection. 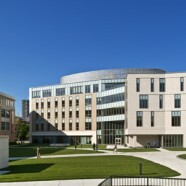 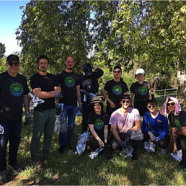 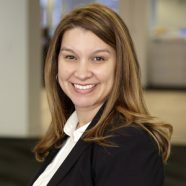 The 65,000-sf project included a complete building system overhaul and gut renovation to update the former 40-year-old facility. 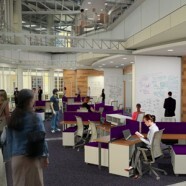 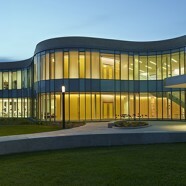 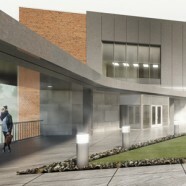 The new design brings all of the components of the College of Business under one roof. 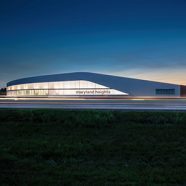 The team opened spaces by incorporating elements like an expanded lobby area, installing glass fronts for offices, and using energy-efficient LED lighting, daylighting and occupancy sensors and controls. 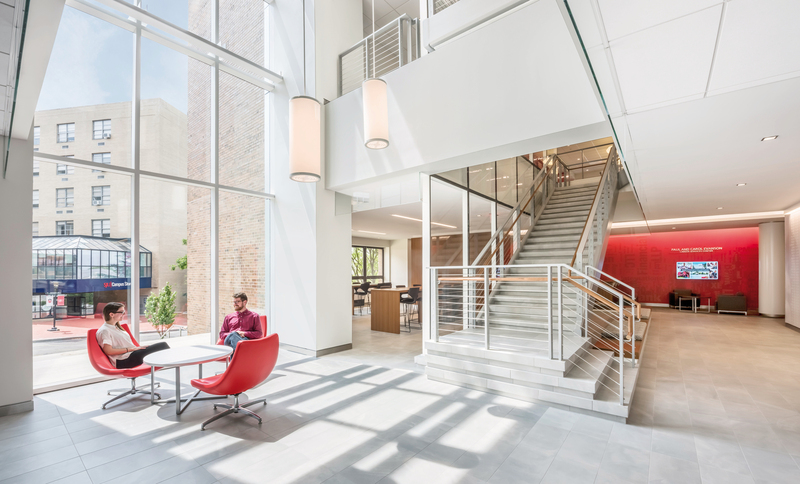 A 500-sf central staircase connects the facility’s floors, and a horseshoe-shaped atrium takes advantage of natural light and views. 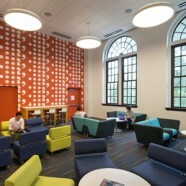 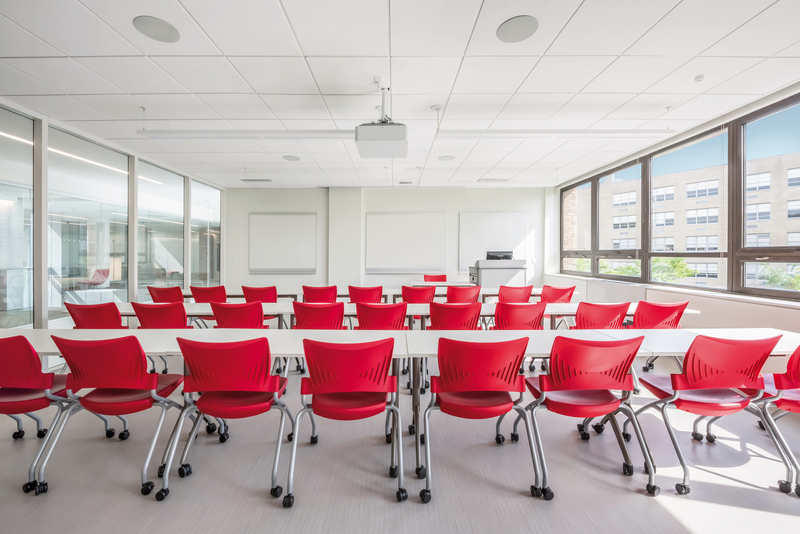 Rooms are both highly functional and inviting, encouraging students and faculty alike to connect and engage with each other. 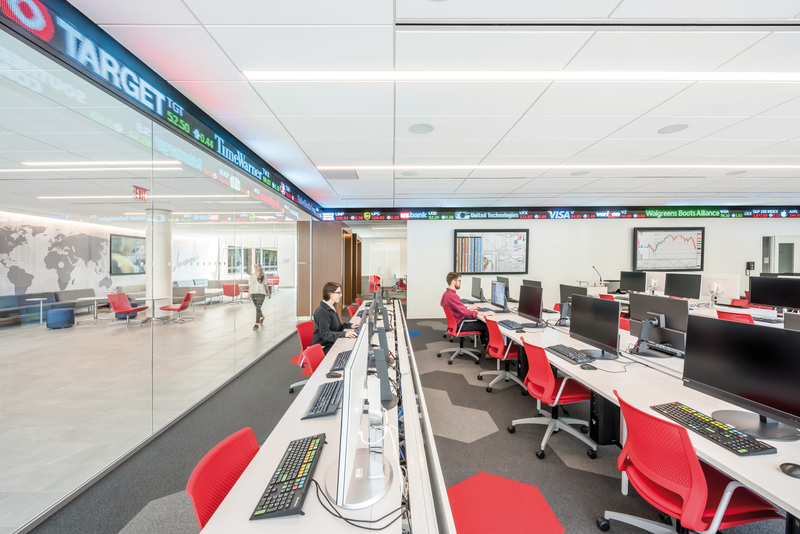 The facility also includes a state-of-the-art financial lab, complete with stock ticker and Bloomberg terminals. 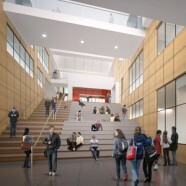 Student study areas, a career service center, an incubator lab and multi-purpose room attract local businesses while building a sense of community. 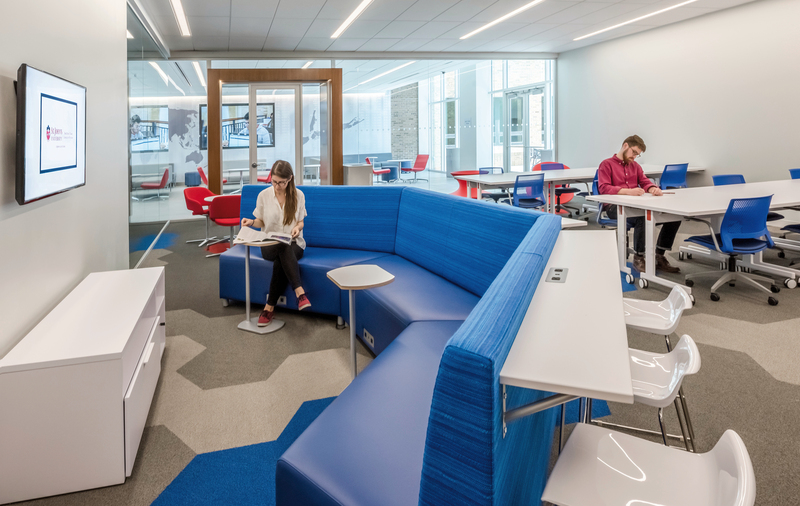 The new arrangement of classrooms, offices and administrative groups, and abundance of collaboration spaces throughout the facility help foster stronger student-to-student, student-to-faculty, and faculty-to-faculty connections.